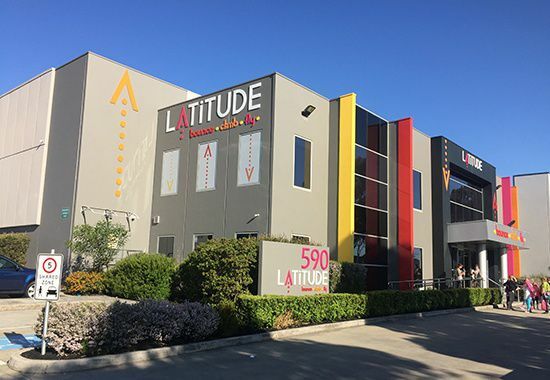 Latitude Melbourne boasts 100+ interconnected trampolines, a state of the art climbing zone inclusive of rock climbing walls, two bouldering walls, a dual Perspex climbing wall and our famous pink stepping poles. For something a little more competitive, we have both dodgeball and basketball arenas. And our younger guests are catered for in the dedicated Kids Zone, designed exclusively for children aged 18 months to 5 years. Book online before you come, as peak periods will sell out. General session is for everyone from 5 years, and over 110cm. Kids Zone is dedicated to children under 5 years, and under 110cm. Arrive early, sessions start promptly on the hour. Recommend 30 mins during peak periods. Latitude grip socks are mandatory. You can purchase these at reception. Bring closed toe shoes for climbing and the obstacle course. You can’t climb without them! No outside catering permitted. 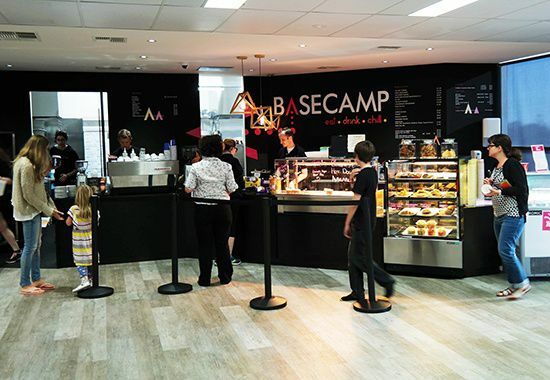 Visit our café for delicious snacks, meals and drinks. CAR PARKING - Latitude has a dedicated car park providing on-site parking. There are a number of local streets where casual parking is available, but please observe signs. PLEASE NOTE: Parking spaces are limited, allow enough time to find a car park. Take a break, fuel up or catch up with friends – the café is a great place to take five. Our chef and his team will whip you up a great burger, BLT or gourmet hot dog. A range of freshly made sandwiches and salads are also available. For the sweet tooth we have a selection of delicious cakes accompanied by great coffee made by qualified baristas. The kids will love the slurpee machines. WANT TO JOIN THE LATITUDE CREW?